The Vanity of Small Differences opened at Birmingham Museum & Art Gallery on Feb 13th, amid a flurry of excitement. I went along to the opening to take a look at this intriguing set of tapestries by Grayson Perry, which have been touring the country over the last several months, attracting plenty of attention. Grayson Perry is a famous artist, probably one of the most famous British artists. In the guise of his flamboyant alter ego, Clare, he is instantly recognisable. I have seen, and enjoyed, some of his work from the 80s and 90s before. This mainly takes the shape of highly decorative ceramics (an example can be seen in BMAG’s permanent collection here) and deals with themes of identity, sexuality, gender, and self-discovery. Since the early 2000s, though, Perry has produced works of sharp and insightful social commentary, and this is where The Vanity of Small Differences fits in. I was less familiar with this aspect of Perry’s work, and keen to explore. The Vanity of Small Differences (the title references the mainly middle class obsession with individuality) is about people; it is a commentary about and of contemporary Britain. It is also the tale of a journey. This set of six tapestries not only tells the story of their hero’s journey, they also tell the story of Perry’s journey in researching a producing this intriguing artwork. Perry designed thetapestries after working on a (BAFTA nominated) documentary series with Channel 4, All in the Best Possible Taste with Grayson Perry (2012). In it, Perry explored how ideas of social class and taste and inextricably linked in British culture. He was fascinated by the choices that people from different backgrounds made in ‘curating their possessions’, and the different messages that this transmits. Perry observed that taste is a particularly British sensitivity, because ideas about taste are linked to a class system that is still evidently very much alive in our culture. Perry knew that he wanted to create art based on the research he did while working on his documentary, and it is possible to hear the voices of the people he visited and interviewed, from the estates of post-industrial Sunderland to the estates of Cotswold gentry, coming through in the text and images. All six tapestries follow Perry’s hero, Tim Rakewell, who is based on Tom Rakewell, the main character in Hogarth’s series of moral paintings, The Rake’s Progress. Perry cites Hogarth as a major influence on his work, and it is easy to see the parallels between Tim and Tom. Hogarth’s character inherits a fortune from his father, only to fritter it away on a life of extravagance and debauchery. In the end he can be seen naked and crazed in the poor house. Similarly, as you make your way around The Vanity of Small Differences, you watch at Tim rises to fortune and fame, climbing to the precarious precipice of the slippery social ladder. From ginger baby competing with his mother’s mobile in The Adoration of the Cage Fighters, we watch as Tim achieves success and great wealth, eventually transforming into a new money gentleman of leisure. Strolling in the grounds of his Cotswolds mansion, he watches as red dogs, bearing the words ‘tax’, ‘social change’, ‘upkeep’, and ‘fuel bills’, tear down a stag, clad in patched-up tweed, representing the aristocracy, in The Upper Class at Bay. Finally, in #Lamentation, Tim meets a grizzly and inglorious end, lying bloodstained and half-naked in the street, after wrapping his red Ferrari around a lamppost. We see how he could never really escape his roots, as the text proclaims, ‘All he said to me was “Mother”. All that money and he dies in the gutter.’ Following the tapestries around the room at BMAG, I felt genuinely wrapped up in Tim’s story. The larger than life caricatures are undoubtedly amusing, though in a gentle and inoffensive way, and this only adds to the richness of the story, bringing Tim’s tale vividly to life. Walking into this exhibition space for the first time was like getting a slap round the face; the tapestries are so impressive, so vibrantly coloured, and so intricate. They have irresistible appeal, drawing you in closer in order to pick out every detail, to avoid missing anything. Impressive though they are from a distance, it is only once you get in close that you start to fully appreciate the intertwining strands of narrative and symbolism that run through the set, following the trail scrawly text from one scene to the next as it narrates Tim’s story in different voices. I defy anyone not to find some witty detail in each of the tapestries that provokes grin to spread across their face, from the pug sitting in the left hand corner of The Adoration of the Cage Fighters, to a tomato-faced Jamie Oliver cast as the ‘god of social mobility’, grinning down from the heavens in Expulsion from Number 8 Eden Close, or the boney-fingered angel/business partner announcing Tim’s new found mega-wealth in The Annunciation of the Virgin Deal. For me, as a student of Renaissance art, this exhibition was full of amusing moments, as I looked out for the witty references to Renaissance art in each scene. As their intelligently playful names suggest, each tapestry draws on one or more Renaissance or old master paintings, and in each one, Perry plays around with Renaissance themes and iconography. The connection with 14th and 15th century religious art, he says, was used to lend moral weight to Tim’s story, as well as providing recognizable Biblical themes. The Expulsion from Number 8 Eden Close, for example, mirrors Masaccio’s The Expulsion from the Garden of Eden (c. 1425). The Annunciation of the Virgin Deal draws on three different paintings of the Annunciation, by Carlo Crivelli, Matthias Grunewald, and Robert Campin, and the convex mirror on the wall, replicating the scene from another angle, is reminiscent of the one found in the famous Arnolfini Portrait by Jan van Eyck, a 14th century display of status. #Lamentation was inspired by a painting of the same name by Rogier van der Weyden (c. 1460), but Perry has substituted the skull at the bottom of that picture with a smashed smart phone in this. It seems right that this artwork should have taken the form of a set of tapestries. Historically, tapestries acted as decorative objects that displayed the wealth of their owners, owing to the great expense and skill involved in their production. This links in nicely to the main themes of The Vanity of Small Differences, class and taste. Tapestries were also mobile, and were taken with their owners from home to home, like movable instant decoration. Mirroring that, this set, which Perry has gifted to the Arts Council Collection and the British Council, are destined for a nomadic existence. They can, as they have done already, travel from place to place, art venue to art venue. Unlike the historical tapestries of the very wealthy, these will be seen by all sorts of people, the length and breadth of the country. I found Perry’s tapestries extravagant and enthralling, and the story woven into them thoughtful and entertaining. I also really enjoyed this exhibition, I’ve been three times already, and will go again. Each time I’ve visited the exhibition space has been packed with people of all backgrounds, busily picking out little details. I highly recommend anyone who hasn’t yet seen The Vanity of Small Differences to go to BMAG for a peek. I also highly recommend investing in the exhibition catalogue, which is beautiful and full of interesting insights into Perry’s research and the processes behind producing an artwork like this. The exhibition is totally free, and open daily until 11 May 2014. For more information visit here. You can read more from me, and find out about a plethora of arts and cultural events across Birmingham, over at Polaroids & Polar Bears. George Catlin’s European Adventure: The Gallery Talks! Here is the third instalment in Joint Honours student Sophie Edwards’ experience of working on the George Catlin exhibition at the National Portrait Gallery. The exhibition is now on in Birmingham Museums and Art Gallery until 13th October 2013! After working on the planning of the exhibition and then making films about it for the website, the day had finally been set for the next part of our Catlin adventure: the gallery talks! These were scheduled for Thursday 30th May and, as any University student, and indeed lecturer, knows, the Summer Term is by far the busiest. Therefore, it was only after my exams had finished that I suddenly realised that, along with the rest of my group, I would be speaking at one of the major art galleries in London. I thought that I would have been riddled with nerves, but I managed to surprise myself by feeling pure excitement. When the day came, I and my fellow group members met up with the project leaders Dr Sadiah Qureshi, from the University of Birmingham’s History Department, and gallery staff Lesley Rivett and Esther Collins, in the National Portrait Gallery. They all said they were very excited to hear our talks and that in fact the talks would also be signed for the hard of hearing. This fascinated us all, as neither me, nor any of my group members had ever experienced this before! Lesley very kindly gave us a tour of the George Catlin exhibition, although our group of five quickly expanded to include everyone else visiting the exhibition, she was that inspiring to listen to! This was so useful in helping us to identify how we were going to deliver our talks, especially with regards to effectively linking in information with works of art. After Lesley had finished the tour and given us some advice on the ‘do’s and don’ts’ on giving gallery talks, (such as not to stand in front of the work of art when you are talking about it!) I looked at my watch and worked out that we had an hour and a half grab some lunch and put together a gallery talk. It was then that I started to feel a little nervous. As a group we had to organise what we were going to say, how we were going to work this around the gallery layout, how the information would translate to the portraits in the exhibition, and ensure that we were pronouncing the Native American names correctly! As a student of both History and History of Art, this task was one that certainly utilised both aspects of my degree! At 7pm the signer arrived, to clarify Native American names and go through how the signing process works. At 7.30, we looked around the gallery floor and gave each other a positive nod, as the turnout for the talk was very good. So good, in fact, that moving around the gallery to talk about different portraits became a great challenge! As a bit of a perfectionist, I was almost convinced that because I did not know the talk inside out that my mind would go blank and I would be left with nothing to say. I’m glad to say that I proved myself completely wrong as the talk itself went very well! We discussed different topics such as George Catlin himself, Native American culture and Catlin’s exhibition when it first came to London in 1839, whilst also relating this to the portraits in the exhibition. We all thoroughly enjoyed delivering the talks, presenting them with enthusiasm and confidence as well as working effectively with the signer. The response we got was very positive, with many of the attendees approaching us in order to congratulate us and to remark positively on our enthusiasm for the topics discussed. Some of my group members even said that they felt like a celebrity! Overall, I thoroughly enjoyed the talk and this is certainly an experience that I will be able to carry with me throughout my life. For this, I just wanted to thank the University of Birmingham, in particular Sadiah, as well as the National Portrait Gallery for making this possible. This research project has given me and my group the confidence to speak to an audience outside of the seminar room: this is a tool that is of great importance, especially with graduation only being a year away! It has also inspired me to pursue gallery work as a possible career path. I know that the rest of my group and I have thoroughly enjoyed being a part of this research project and would absolutely recommend it to anyone if they get the chance! Entrance to American Indian Portraits is free. There are lunchtime talks at BMAG starting at 1pm and cost £3 (available on the day). Wednesday 4th September: Exhibition curator Dr Stephanie Pratt discusses curating George Catlin: American Indian Portraits. 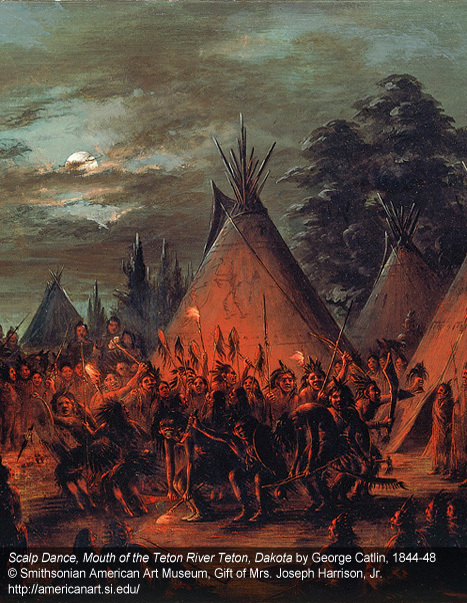 She will also explore how Catlin’s images have been thought to construct an idealised view of Native American peoples. 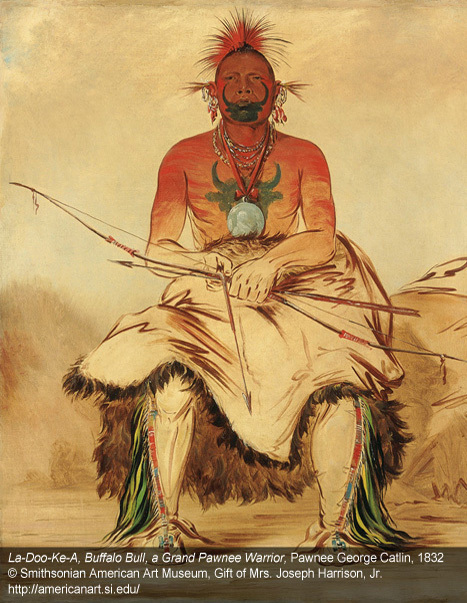 The talk will also look at the role of Catlin’s paintings in the recovery of Native Americans’ past histories and cultures. Thursday 19th September: Dr Robert Lewis, Lecturer in American History from the University of Birmingham, discusses George Catlin and his time in Birmingham with the ‘Indian Gallery’ in the 1840s. Wednesday 2nd October: Dr Sadiah Qureshi, Lecturer in Modern History at the University of Birmingham, explores Catlin’s career as a painter, showman and political campaigner and why his paintings are still important for historians and Native Americans today.